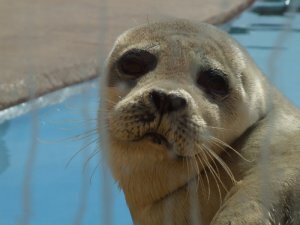 Picture of a very cute seal at Skegness Seal Sanctuary. the seal is SOOOOO cute!!!!!!!!!! i am just adoring it! i think it is the most cutest thing i ever seen !!!!!!!!!!!!!!!!! !